Carlton Court’s beautiful array of luxury serviced apartments set in a boutique building in London’s most exclusive area, Mayfair, is the accommodation of choice for both business and leisure travellers. Perfect for both short and long stays, our apartments offer you a lot more space, freedom and privacy than conventional hotels. Once booked, you can use our apartment as you please. The warm and luxurious furnishings and the independence to cook your own meals will make you feel like you are home from home. The moment you step into our apartments, you will be greeted with a familiar ‘home away from home’ feeling. To make sure that you instantly get settled in, we see to it that a Welcome Pack of food and drink items is in your chosen accommodation. Moreover, living with us means enjoying a complimentary breakfast every day of your stay. Our breakfast hamper includes tea and coffee, fresh milk, cold drinks, fresh selection of bread, butter, nutella, fresh eggs and more. Our Mayfairap artments in London are ideal for those looking to live like a local in London. We have 1, 2 and 3 bedroom apartments that you can choose from. Each of our flats are well-equipped with Free high-speed Internet, music systems and LCD TV with Full Sky HD packages in numerous languages. Even though our apartments offer you that home from home feel, you are still on a holiday. So, allow us to take care of the daily chores, such as cleaning, changing the linen and towels, and so on. Our housekeeping service is available 7 days a week at no additional cost. So, what are you waiting for? 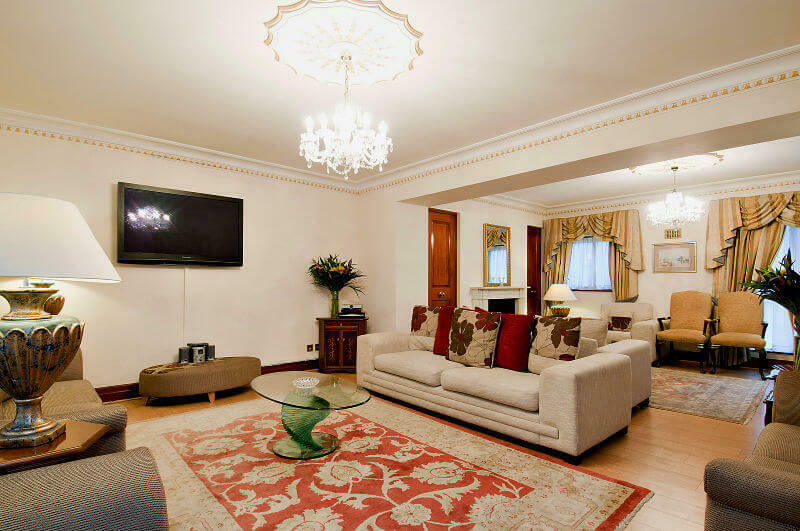 If you are planning a visit to London anytime soon, Carlton Court’s luxurious flats are the place for you. To find out further information, and to book do not hesitate to contact us.